With lots of small children at home, comparison and competition between my children can be a major stumbling block. My preschooler wants to do EVERYTHING that his older siblings are allowed to experience – everything from online reading games to riding a bike in the street. It’s a serious challenge for me to find things that Daniel can work with safely, on his age level, that keep him engaged. 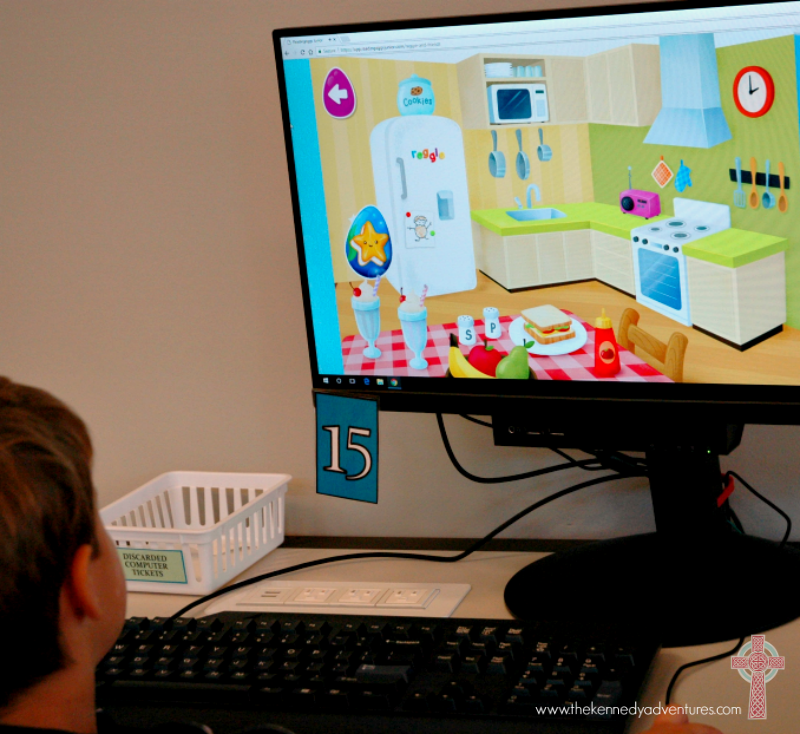 I was thrilled to find out that Reading Eggs recently expanded their selection of online reading games to include Reading Eggs Junior. It’s designed to help children ages 2-4 to take their first steps on the road to reading. Our family juggles screen time with plenty of time doing chores, practicing fine motor skills, exploring outside, and listening to stories. Once the big kids are mostly finished with school, Daniel is allowed to access Reading Eggs Junior for about 30 minutes a day. 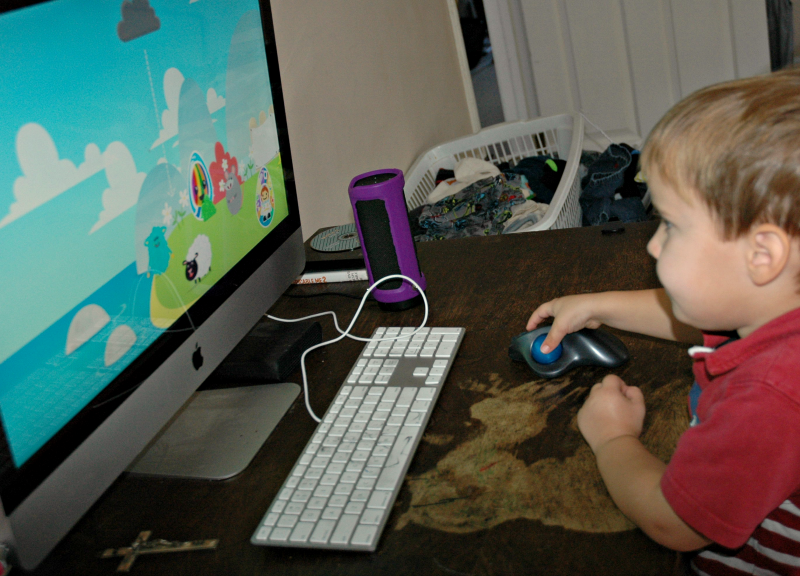 It’s a perfect set up for us — he has fun, and we’re turning screen time into learning time. Plus, I can fix lunch uninterrupted. 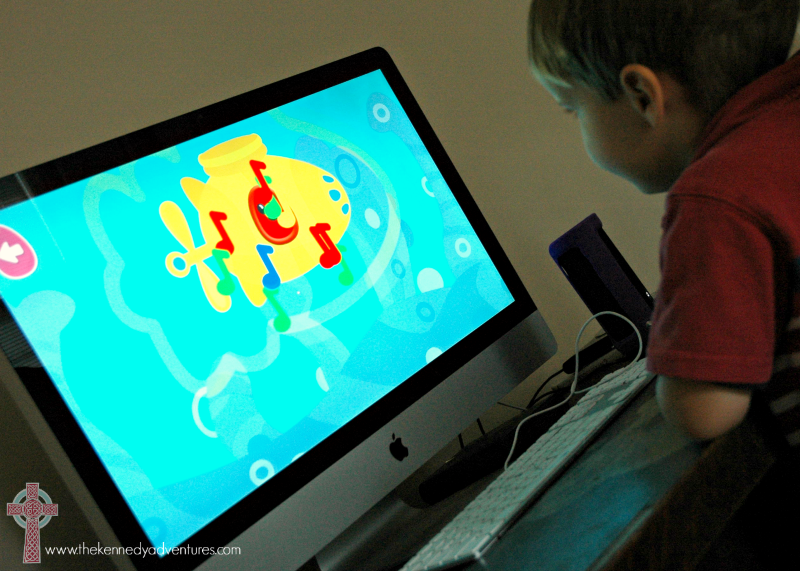 This program is perfect for moms who are comfortable with allowing their preschoolers access to computers, tablets, or smart phones. 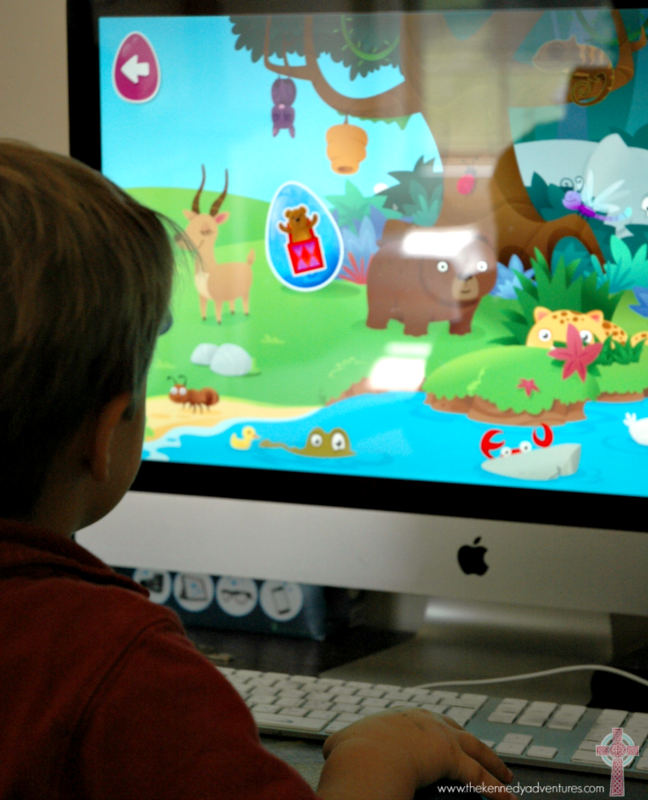 Reading Eggs Junior is the brand-new online learning program where toddlers aged 2-4 take their first steps in learning to read. Inside the program, you’ll find hundreds of read aloud toddler and preschool books, videos and learning games. All of these activities encourage pre-reading skills for your young children. There’s a handy parent dashboard within Reading Eggs Junior to tell you exactly where your child spent his time online — even showing you the books that were read, videos that were watched, and which activities were your child’s favorites. Where Can I Use These Online Reading Games? 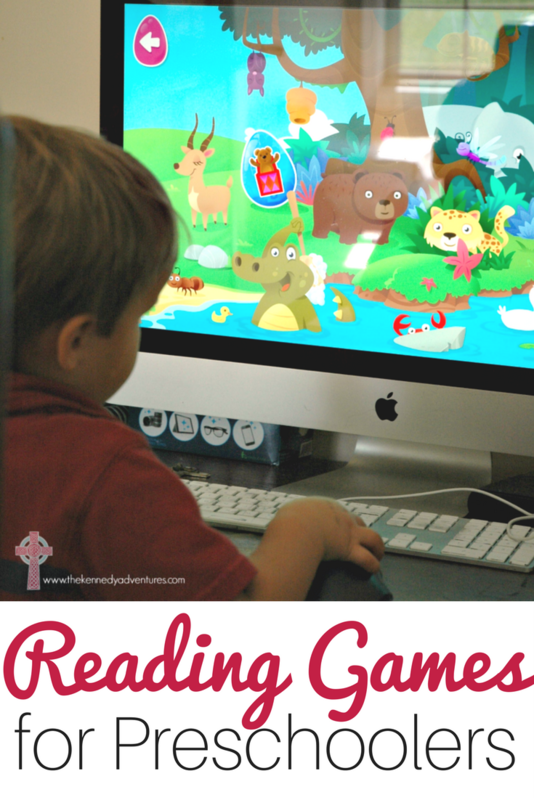 If you’ve got an Internet connection, your kids are ready to play online reading games at Reading Eggs Junior. We’ve played at home, in the car, and at the library. You can access the platform from your desktop computer, laptop or mobile device. If you have an iPad or Android tablet, you can download the Reading Eggs app, or access Reading Eggs through your mobile browser. Note: Not supported on Dell Venue 7, Kindle Fire Tablets, Pendo Pad, Thompson Tablet, Tesco Hudl Tablets. How Much Do Online Reading Games Cost? The Reading Eggs platform is amazingly affordable! One child’s membership actually grants you access across all 4 sites: Reading Eggs Junior, Reading Eggs, Reading Eggspress, and MathSeeds. You can get started with a 6 month subscription for $49.95. Have an advanced toddler or preschooler, and you’re afraid you won’t get your money’s worth out of Reading Eggs Junior? Don’t worry. 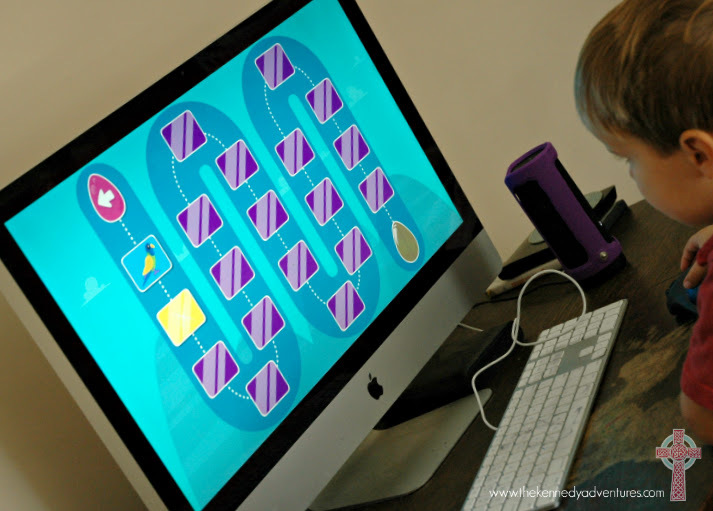 If your student whizzes through Reading Eggs Junior, you can hop up to Reading Eggs or MathSeeds, all on the same membership. Break that down, and it’s a little over $8 per month. If you need to add a second or third child, you’ll save 50% off their subscription price. For a year’s subscription, the total cost for one child is $59, less than $5 per month. For less than a fancy latte, you get a robust program to help your children practice valuable reading skills. 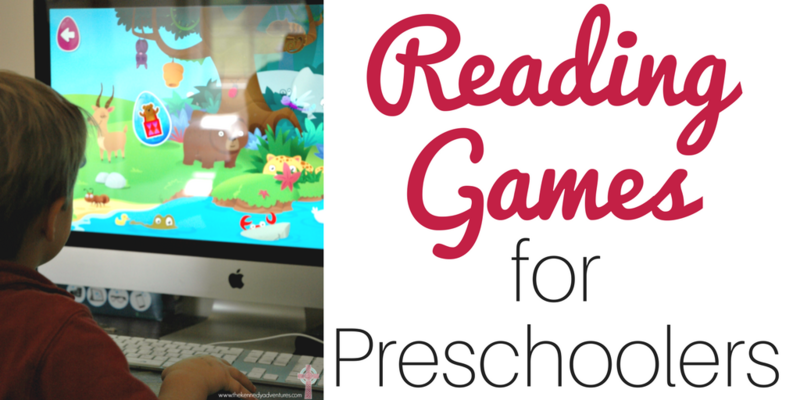 How Can I Try Online Reading Games with My Preschooler? Ready to try Reading Eggs Junior in your home? Be sure and check out Reading Eggs on Facebook, Pinterest, Youtube, Twitter, and Instagram for helpful tips, news about upcoming products and more. What about you? Have you tried Reading Eggs Junior in your home? I’d love to hear all about it.